An important function of the β-amino acid, taurine, is the regulation of oxidative stress. 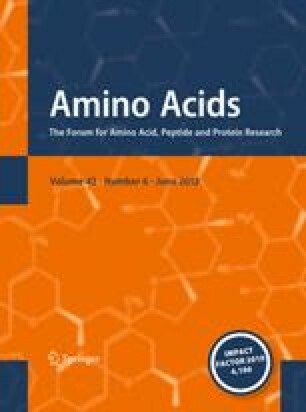 However, taurine is neither a classical scavenger nor a regulator of the antioxidative defenses, leaving uncertain the mechanism underlying the antioxidant activity of taurine. In the present study, the taurine antagonist and taurine transport inhibitor, β-alanine, was used to examine the mechanism underlying the antioxidant activity of taurine. Exposure of isolated cardiomyocytes to medium containing β-alanine for a period of 48 h led to a 45% decrease in taurine content and an increase in mitochondrial oxidative stress, as evidenced by enhanced superoxide generation, the inactivation of the oxidant sensitive enzyme, aconitase, and the oxidation of glutathione. Associated with the increase in oxidative stress was a decline in electron transport activity, with the activities of respiratory chain complexes I and III declining 50–65% and oxygen consumption falling 30%. A reduction in respiratory chain activity coupled with an increase in oxidative stress is commonly caused by the development of a bottleneck in electron transport that leads to the diversion of electrons from the respiratory chain to the acceptor oxygen forming in the process superoxide. Because β-alanine exposure significantly reduces the levels of respiratory chain complex subunits, ND5 and ND6, the bottleneck in electron transport appears to be caused by impaired synthesis of key subunits of the electron transport chain complexes. Co-administration of taurine with β-alanine largely prevents the mitochondrial effects of β-alanine, but treatment of the cells with 5 mM taurine in the absence of β-alanine has no effect on the mitochondria, likely because taurine treatment has little effect on cellular taurine levels. Thus, taurine serves as a regulator of mitochondrial protein synthesis, thereby enhancing electron transport chain activity and protecting the mitochondria against excessive superoxide generation. The study was supported with a grant from the American Heart Association.